Feeling good starts inside: When we feel healthy, we look healthy. A properly functioning digestive system is key to achieving a wellness balance, which enables your body to cleanse itself and stay regular. Be your best every day, and get the digestive and detox support you need. Having healthy internal bacteria in the GI tract and the right gut bacteria is linked to numerous health benefits, including weight loss and a reduction in systemic inflammation, a leading cause of many diseases. To maintain healthy digestion, supplement your diet with a probiotic! But as we age into seniority, our gut microflora becomes less diverse and the numbers of potentially pathogenic bacteria (such as Clostridium perfringens, Escherichia coli) in our gut may increase while the numbers of certain good microflora may decrease1-2,4. Together, these strains help promote a diverse and balanced gut microflora and support overall gastrointestinal health. All of the probiotic strains found in MyFloraDaily have been antibiotic-resistance tested and genetically identified to confirm strain identity. While many competitive probiotic brands need to be refrigerated to maintain the number of probiotic strains, MyFloraDaily is shelf stable. Most probiotics on the market don't guarantee their potency. With MyFloraDaily, TriVita guarantees 10 billion CFU in every dose at the time of manufacture and 5 billion at the one-year expiration date. 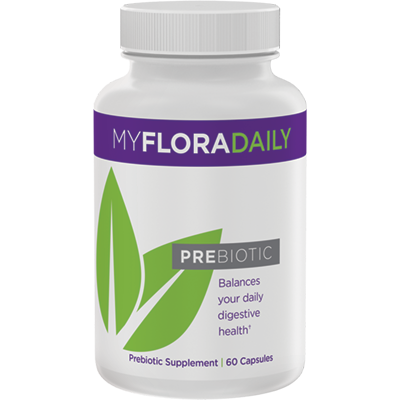 MyFloraDaily is a shelf-stable probiotic product that does not require refrigeration. Store in a dry place at 70°F for optimal storage temperature. Adults, take one caplet, once or twice daily, or as directed by your healthcare professional. 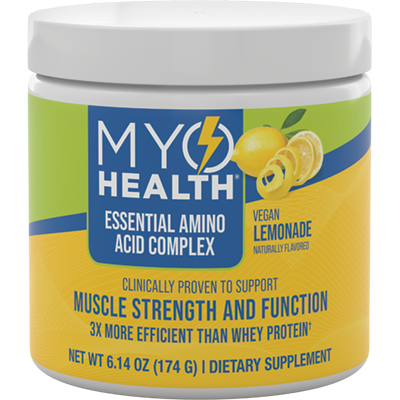 Q: What strains of lactic-acid producing bacteria does MyFloraDaily contain? Very resistant to low pH conditions and survives the presence of bile at the concentrations present in the small intestine (in vitro). Displayed excellent inhibition of E. coli and good inhibition of Salmonella typhimurium, Staphylococcus aureus, and Listeria monocytogenes (in vitro). Demonstrated excellent adhesion to human epithelial cell line Caco-2 (in vitro). Tolerant to low pH conditions and can survive the presence of bile at concentrations present in the small intestine (in vitro). Demonstrated very good adhesion to human epithelial cells (HT-29) (in vitro) studies. Excellent acid tolerance and bile salt tolerance properties (at concentrations present in the small intestine). Has very good adherence to human intestinal cells (HT-29 and Caco-2 cell lines). Can induce expression of an anti-inflammatory compound in cytokine-expressing peripheral blood mononucleocyte (PBMCs) cells (in vitro). All strains have been antibiotic-resistance tested and genetically identified to confirm strain-identity. Many probiotic brands do not disclose the specific strain(s) in the product; strain identification ensures a higher quality product since the health benefits of probiotics are strain-specific. 1Goldstein JC, et al. Lactobacillus species: Taxonomic complexity and controversial susceptibilities. CID 2015;60(Suppl 2):S98-S107. Q: What is Bio-Tract Technology? MyFlora Daily is formulated with Bio-tract technology. This technology is intended to allow for extended, controlled release of probiotic strains throughout the small and large intestine (based on internal data from the manufacturer). Bio-tract is intended to increase acid resistance (i.e. sensitive ingredient protection) and to provide buffering action (to help minimize side effects of probiotic ingestion). Q: Does MyFloraDaily Require Refrigeration? 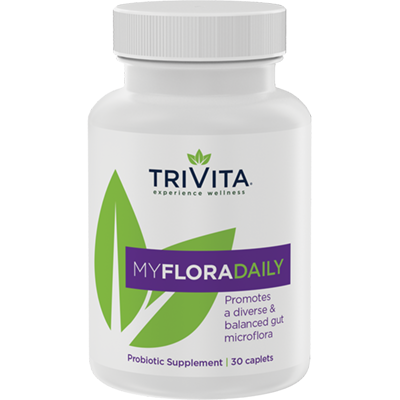 No, MyFloraDaily is a shelf-stable probiotic product that does not require refrigeration. Store in a dry place at 70°F for optimal storage temperature. Q: How Many Colony-Forming Units (CFU) Does This Contain? 10 billion colony-forming units (CFU) per tablet at time of manufacture, 5 billion CFU per tablet at 1-year expiration date. Mariat D, et al. The Firmicutes/Bacteriodetes ratio of the human microbiota changes with age. BMC Microbiology 2009;9(123):10.1186/1471-2180-9-123. Conlon MA, Bird AR. The impact of diet and lifestyle on gut microbiota and human health. Nutrients 2015;7;17-44. Zhang YJ, et al. Impacts of gut bacteria on human health and diseases. Int J Mol Sci 2015;16:7493-7519. Saraswati S, Sitaraman R. Aging and the human gut microbiota—from correlation to causality. Front in Microbiol 2015;10.3389/fmicb.2014.00764. Picard C, et al. Review article: bifidobacteria as probiotic agents – physiological effects and clinical benefits. Aliment Pharmacol Ther 2005;22:495-512. Segers ME, Lebeer S. Towards a better understanding of Lactobacillus rhamnosus GG – host interactions. Microbial Cell Factories 2014;13(Suppl 1):S7. Technical Memorandum: Lactobacillus casei Lc-11. Danisco. TM 49-le. Technical Memorandum: Bifidobacterium lactis Bl-04. Danisco. TM 46-le. Technical Memorandum: Bifidobacterium breve Bb-03. Danisco. TM 45-le.